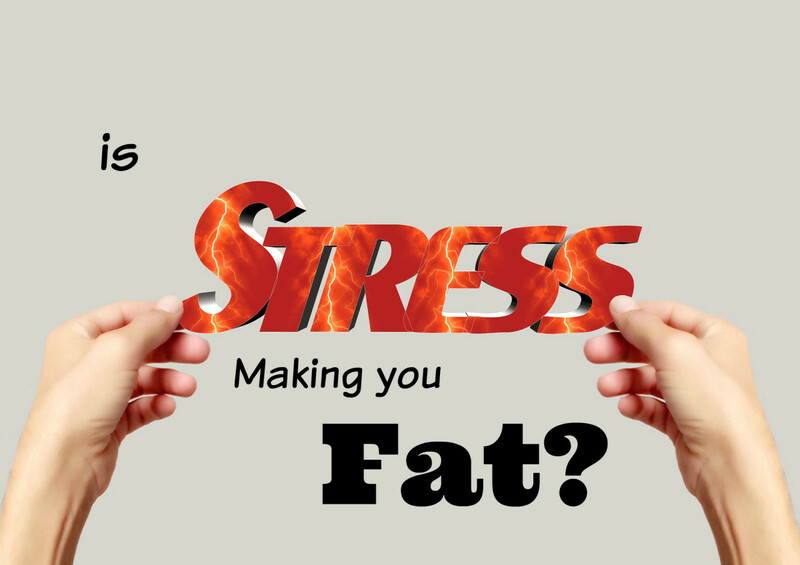 Most of us struggle with stress-eating at some point in our lives. This is because when we feel stressed, our body produces a stress hormone called cortisol which will cause a drop in our blood sugar levels. When our blood sugar drops so suddenly, it’s natural for us to crave foods high in sugar and fat. But instead of reaching for a candy bar or a packet of chips, we can choose foods to stop that cycle of stress and snacking. Here are ten foods that are scientifically proven to reduce stress hormone levels, will provide an extra infusion of nutrients into your daily diet without adding inches to your waistline. On average, how many days in a week do you feel stressed? I don’t often feel stressed. Studies have found that Vitamin C reduced anxiety and levels of cortisol, the stress hormone, in your blood. 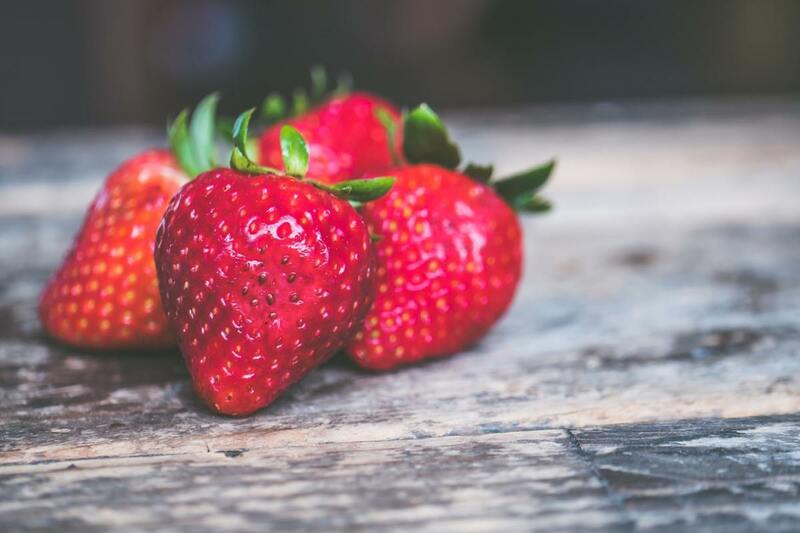 Since just one cup of strawberries will give you more than 100% of your daily recommended amount of Vitamin C, so they're a great berry to add to your five a day. But since strawberries aren’t always in season and can be expensive especially during the off-season, the frozen section can be a smart way to keep your kitchen stocked with the delicious red berries throughout the year. 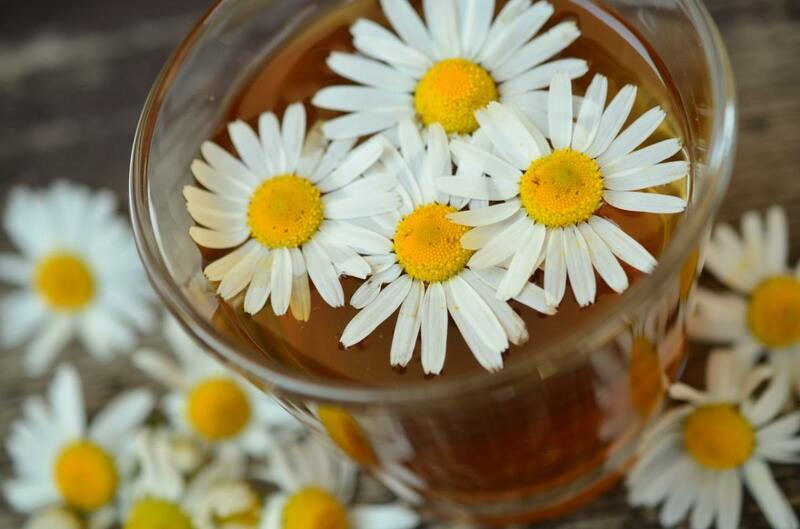 Chamomile tea is often recommended for its calming and soothing properties. But why? It turns out, researchers have found that it’s the theanine, flavonoids, oils, and coumarin in chamomile that reduce cortisol and help us relax. Like chamomile, chocolate contains flavonoids and antioxidants that reduce inflammation and has additional protective qualities that help you relax. 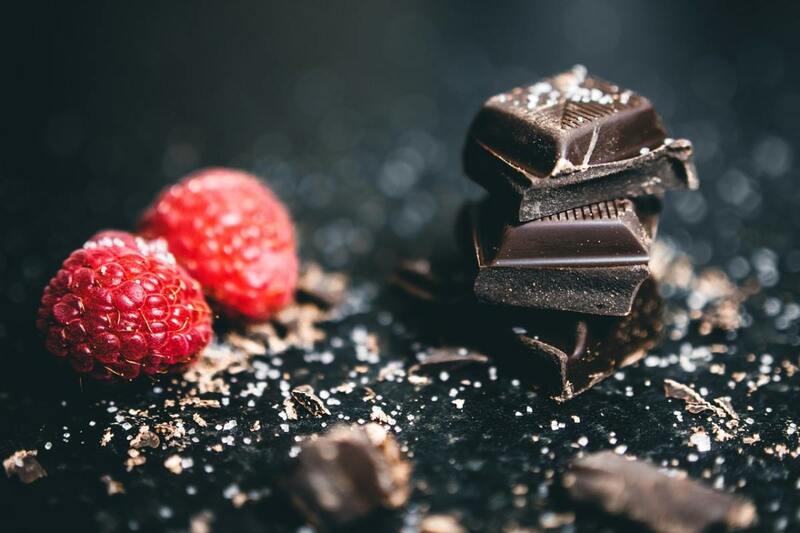 Studies have found that stressed participants who ate 1.5 ounces of dark chocolate (70% and higher of cocoa content) every day for two weeks showed a reduction in cortisol levels. More interestingly, another study found that both dark and milk chocolate helps to reduce stress for women. Studies have found that garlic increases testosterone and reduces the stress hormone cortisol. If you’re also suffering from hypertension along with high-stress levels, garlic can also help with lowering your blood pressure as well. 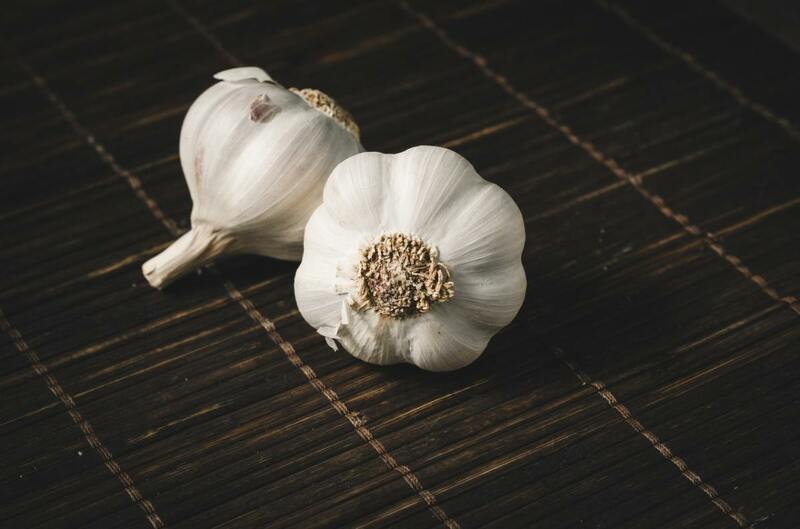 If you’re scared of the pungent smell of garlic, you may want to avoid eating raw garlic. 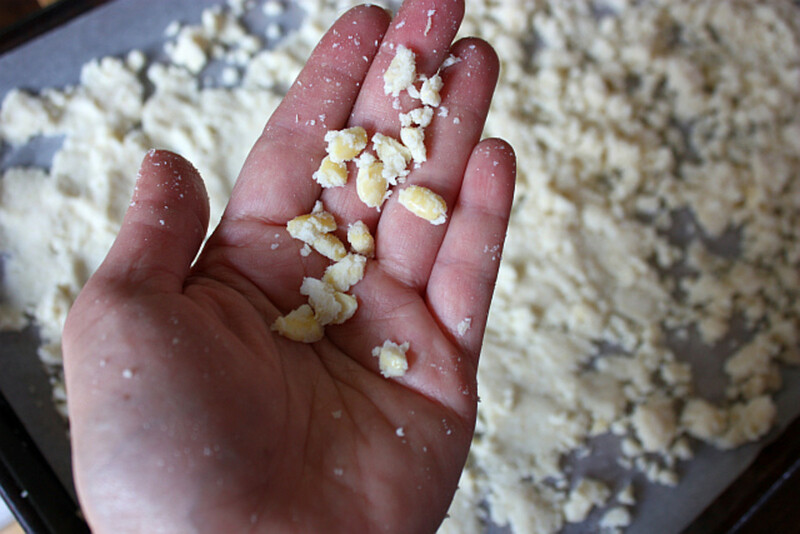 But if you cook garlic for at least ten minutes, most of the pungent taste and smell will disappear. An odorless garlic extract is also an option for those wanting to further supplement their diet. 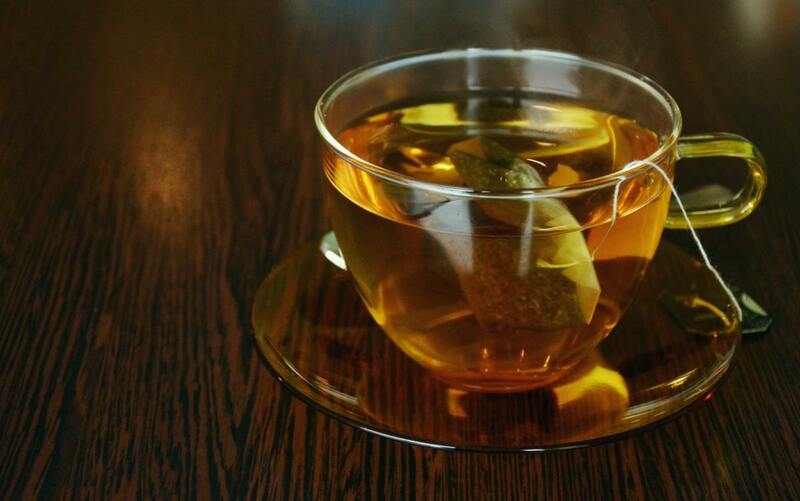 Green tea contains a compound called theanine that is primarily responsible for the leaf’s calming properties. Studies have found that theanine can cross the blood-brain barrier to increase the brain’s production of dopamine and GABA in the brain. 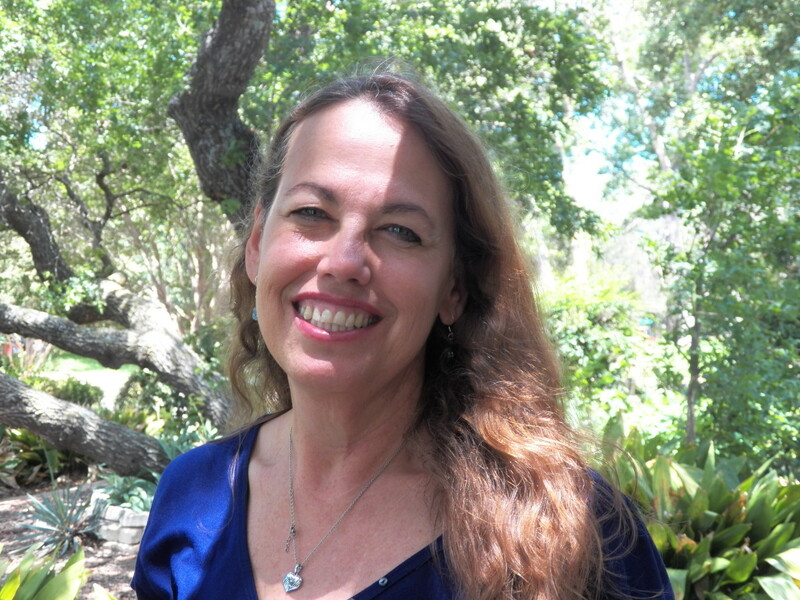 Dopamine and GABA are neurotransmitters that are responsible for making you feel happy and calm. 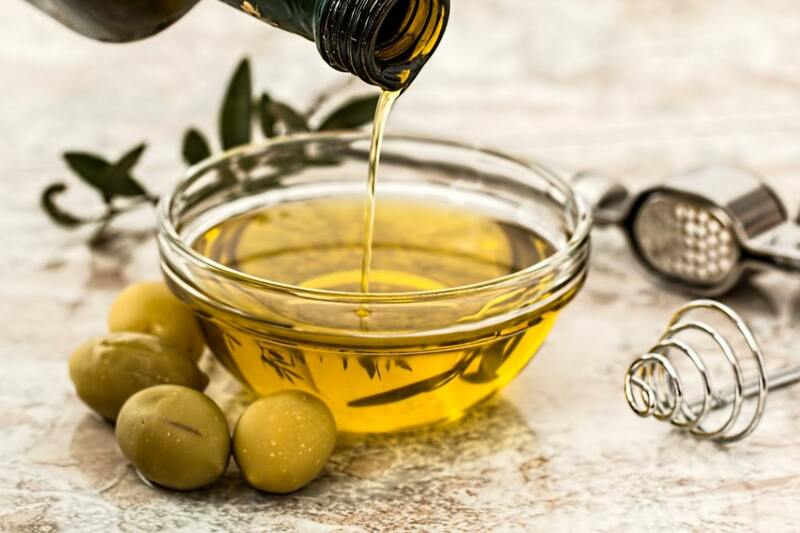 Olive oil has long been recommended by nutritionists as a healthy fat that will help you lose weight and improve cardiovascular health, but olive oil is also a great stress-buster. Studies have found that a compound called oleuropein in olive oil will reduce cortisol levels in the body. But if you decide to up your olive oil intake, make sure to do your research. Because of the popularity of the healthy fat, there has been a lot of fraud in the olive oil industry where a bottle of “extra virgin” olive oil may be bulked up with cheaper refined vegetable oils like corn and canola oil. Research has found that the active compound in turmeric called curcumin can prevent the increase in cortisol and may even reverse already elevated levels of the stress hormone due to chronic stress. 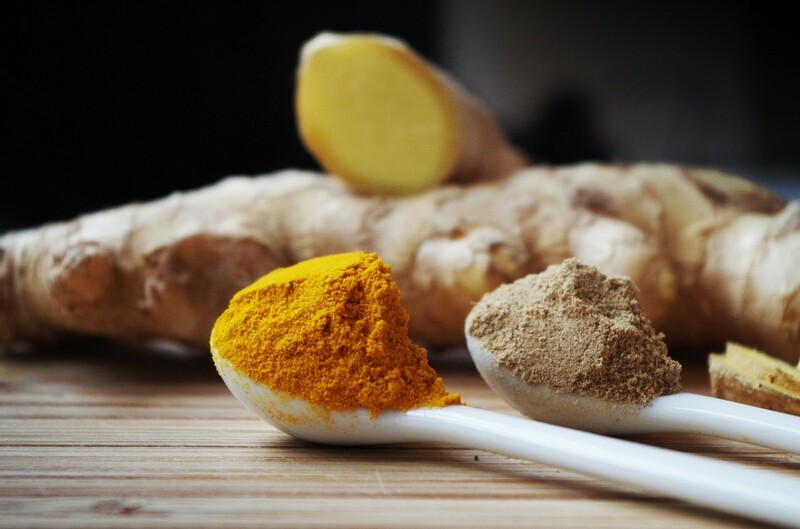 The one drawback to curcumin is that it’s not very easily absorbed by the body. You can combine it with black pepper to boost absorption rate. If you don’t know how to add more turmeric to your daily diet, drinking a cup of golden milk every day is a delicious and easy way to eat more turmeric. 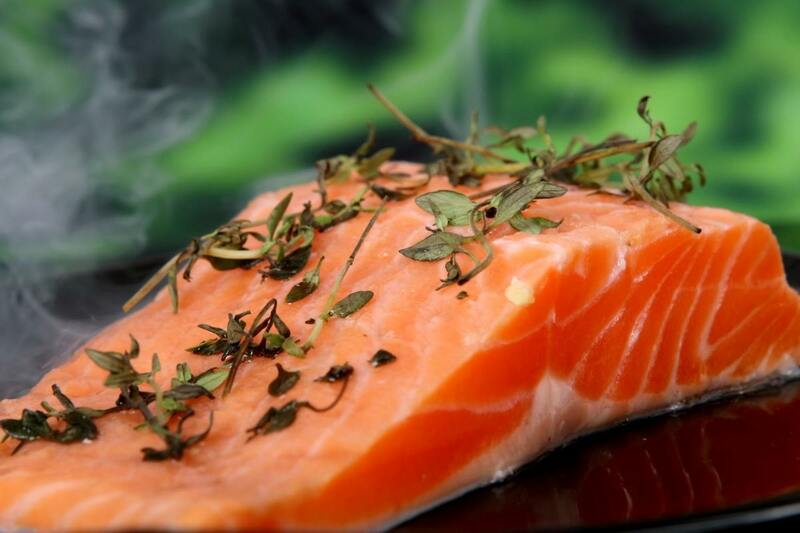 Wild salmon contains much more omega-3 and heart-healthy fats than farmed salmon, so we should buy wild when available. Studies have found that these healthy fats in wild salmon reduced anxiety symptoms in student participants by 20% and reduced inflammation by 14%. Another study on healthy men found that omega-3s can prevent the release of stress hormones and can, therefore, be a very beneficial supplement for those suffering from mental stress. Prebiotic foods, not to be confused with probiotics, facilitate the growth of healthy gut bacteria, and a healthy gut is linked to a healthy brain. In fact, studies found that people who took prebiotic supplements had lower levels of stress hormone and were more positive than those who didn’t take prebiotics. Foods high in prebiotics include bananas, garlic, lentils, onions, tomatoes, asparagus, and leeks. 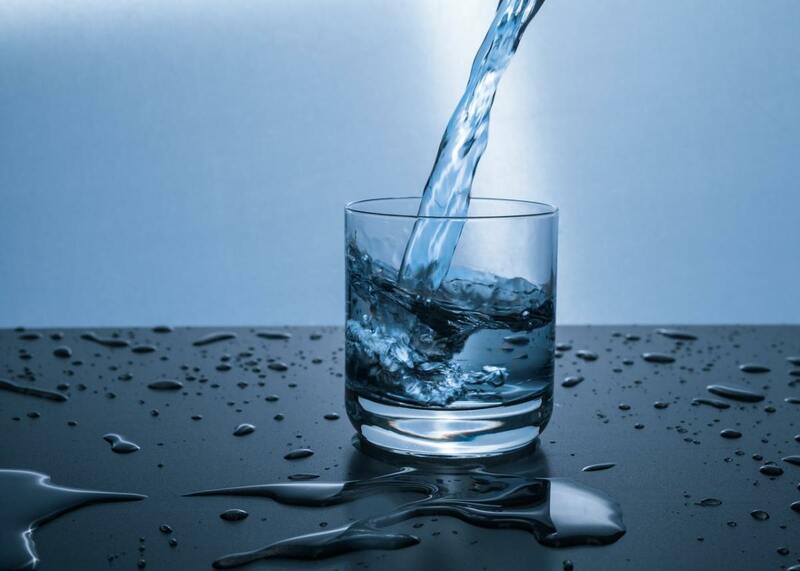 While water is not technically a food, staying hydrated is also very important to keep your stress levels under control. Studies show that the physical stress placed on your body when it's dehydrated will cause cortisol levels to rise. Poll: How Do You Destress? What’s your favorite way to unwind in the evening? Vegetate in front of the TV. A large glass of wine and a book. An unhealthy diet can undermine any positive effects produced from eating stress-reducing foods. 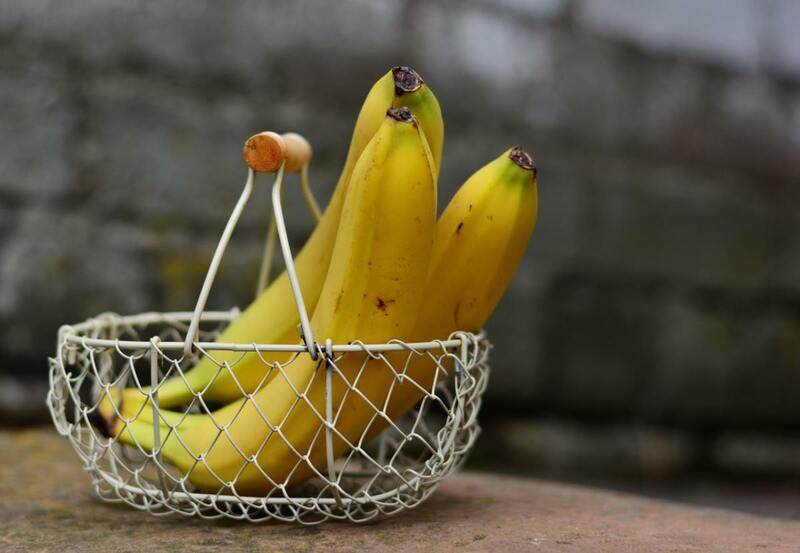 A banana won’t do much if you’re guzzling coke all day. A diet high in refined sugar and processed food will put unnecessary strain on your body and won’t provide enough nutrition. And when your body feels down, so will your mind. Also, exercise is a natural mood booster and will help you process stress through physical activity. 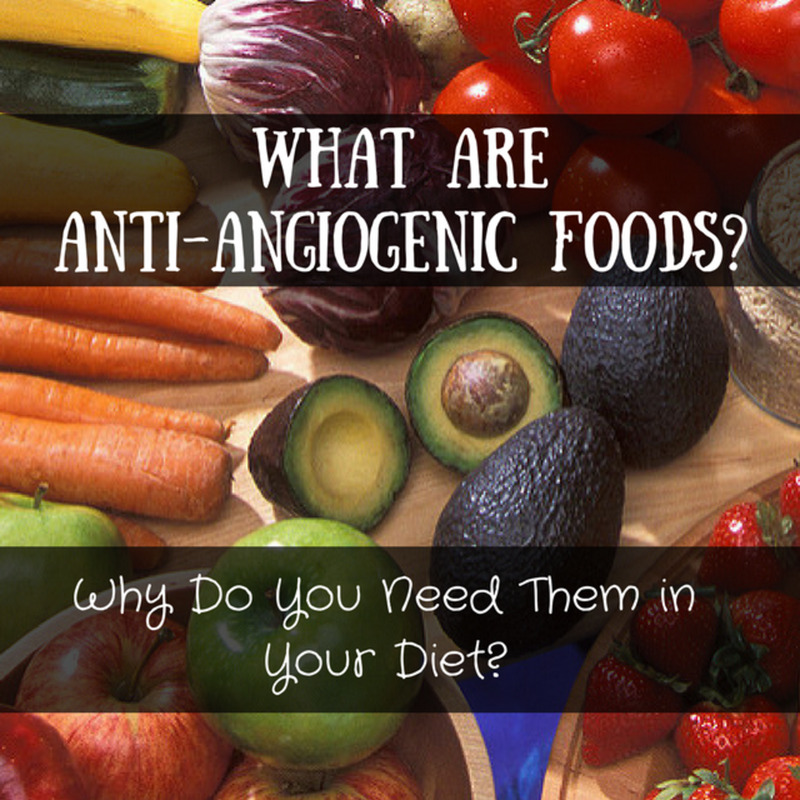 Luckily all the foods mentioned are my favorites and I include them in my nutritional diet. Thanks for sharing such an informative post. I wholeheartedly enjoyed reading this piece. Food is medicine & if we can decrease our stress levels with specific foods then why not give it a try??!! @chichi: I love garlic too! Gives so much flavor so you don't need to add so much salt to your food! Ah i am so happy that i already eat and enjoy most of those foods!! Put garlic in everything i can! I heard about chocolate being a best stress reliever . 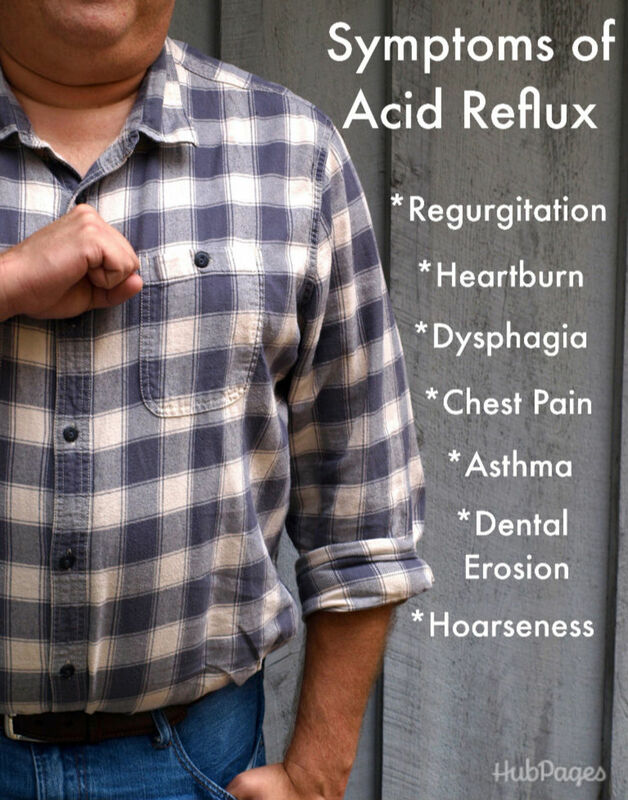 Didn't knew any of these might help too . Great info ! 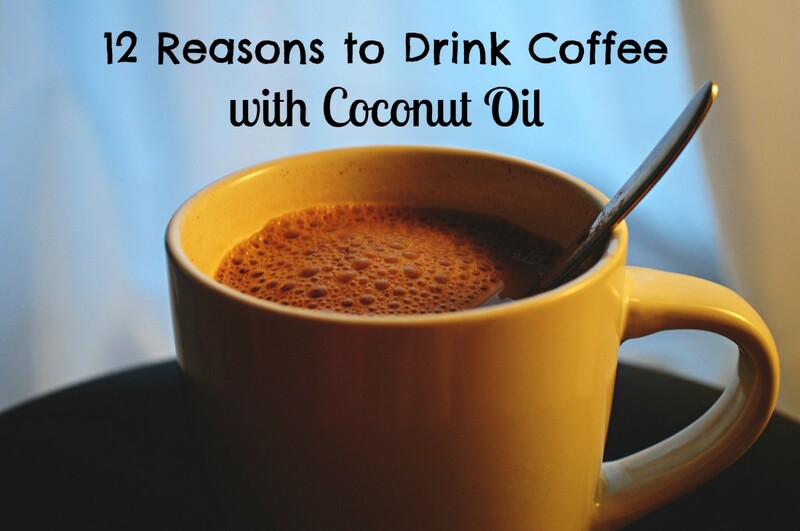 I usually drink Chamomile Tea and eat tons of dark chocolate. Add some strawberries, I'll be very happy. @Zedric. That's great! 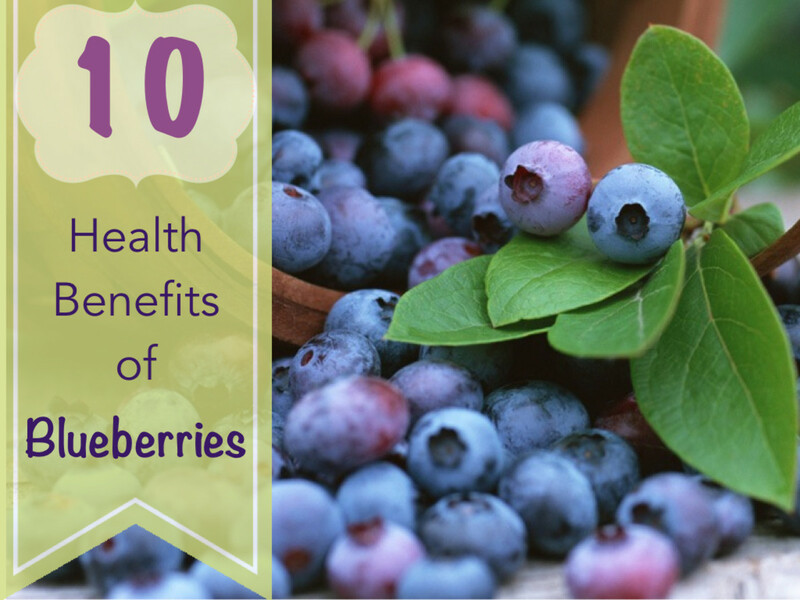 Most of these foods are super available and can easily become a kitchen staple. :) Thanks for reading! Im so glad knowing that I always take 7 out of 10 foods you have mentioned. This is a in-depth article, reinforcing the value of those unassuming food. Now, I can pin it all to my grocery list. These are such great options that I did not know could reduce stress. Especially Green Tea, Tumeric and Vitamin C. I use these on a regular basis and would have never guessed. Thank you for sharing.